Dare to be creative with thick and thin graphic lines! A long-lasting formula that stays put for up to 24 hours without smudging. Hold your pen horizontally and close to your lash line. 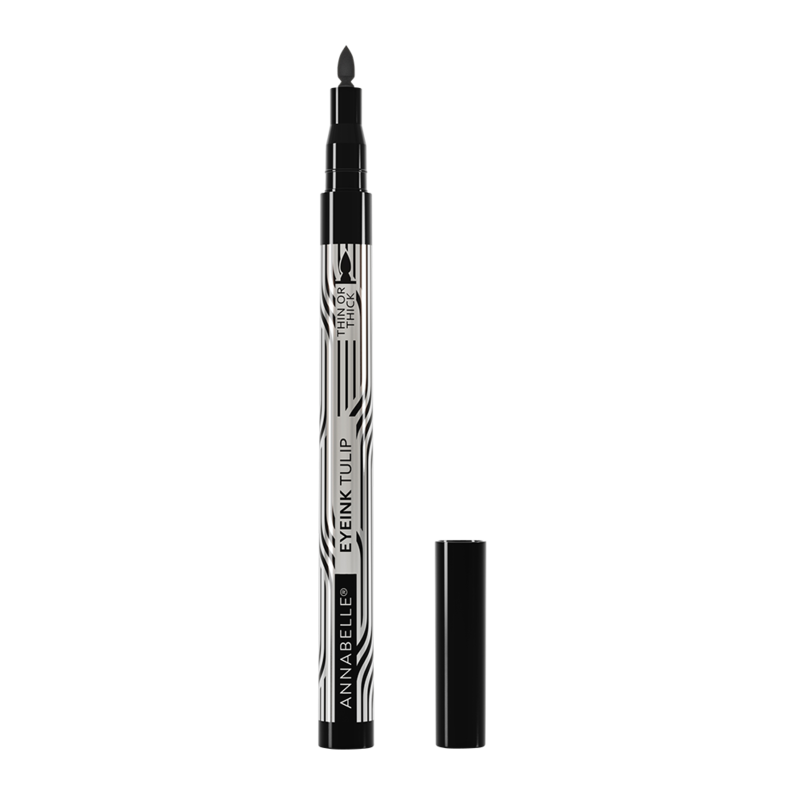 Use the side of the tip and apply along the lash line starting from the inner corner of your eye. Once you reach the outer corner of your eye, draw a small thin wing, aiming for the end of your eyebrow.